The handmade solitude vase is beautiful, gorgeously tactile, with the black glaze providing a stunning contrast to the rough, handmade finished of the vase opening. Because they are handmade, no two are the same, so you really will own your own unique piece of art. 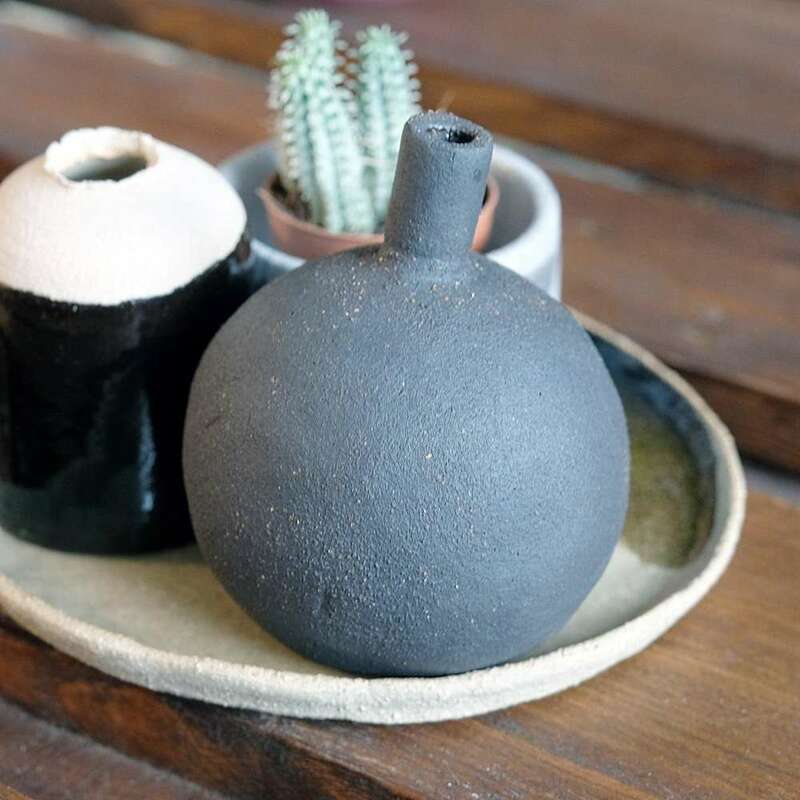 Simply pop in a small bunch of fresh wild flowers, or pair with our other items from Transience Studio - the display bottle, the raku pot or the display plate.